The Civil Aviation Authority takes legal action against Ryanair over its refusal to compensate thousands of customers, which flights were cancelled or delayed because of strikes by pilots and cabin crew. Under EU rules, passengers flying from an EU airport or to an EU airport on an EU-based airline, can claim compensation if a flight is delayed for more than three hours or cancelled - and it's the airline's fault. Ryanair was hit by stikes in the summer, as walkouts by pilots and cabin crew over pay and conditions forced it to cancel flights, including to major holiday destinations such as Spain, Italy and Portugal. The CAA says the strikes were not "extraordinary circumstances", which means the airline has to pay out to affected passengers. Ryanair isn't the only provider to be scrimping on payouts - other airlines are also cheating passengers out of millions in delay compensation while paying out to others who were on the same plane. You have not received compensation for your flight? 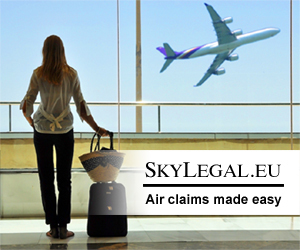 Register your claim at www.skylegal.eu and let professionals obtain compensation for you. We are here to recover what you are legally entitled to. All of the work is commenced on a 'no win, no fee' basis. Tens of thousands of Ryanair passengers have had to reorganise their travel plans for Friday as pilots in Germany, the Netherlands, Belgium, Ireland and Sweden are staging coordinated 24-hour strikes. A total of around 400 flights have been cancelled due to the strike action, equating to around 55,000 passengers. The air carrier has got obligation to reaccommodate passengers on other flights or reimburse. Passengers whose Ryanair flights are cancelled by strikes should claim compensation but the airline insists the stoppages are beyond its control and says any such claims will be refused. 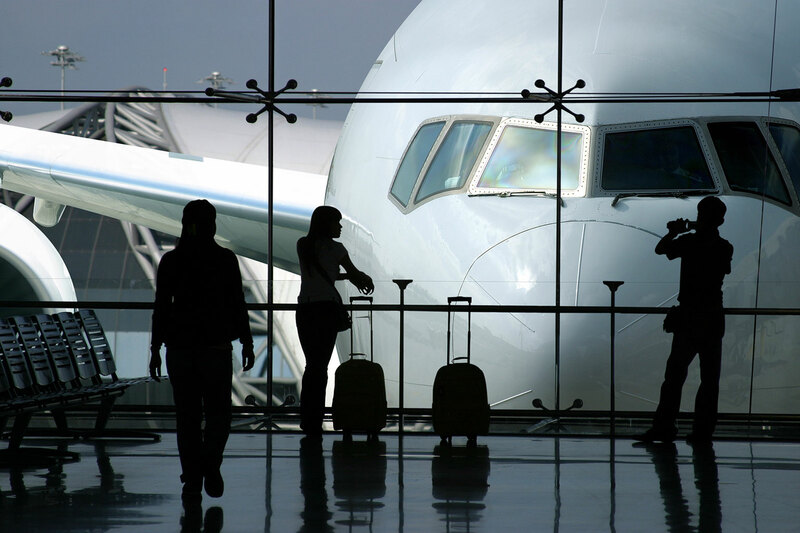 If your flight has been cancelled, REGISTER YOUR CLAIM and let professionals obtain compensation for you. In June up to 210,000 passengers of Ryanair had to deal with the aftermath of cancelled flights. Reasons for cancellation differ. Some of these flights were cancelled due to the strike of air traffic controllers. May we remind you that compensation for a cancelled flight is due if the airline is responsible for the flight interruption. The air traffic controlers'strike is extraordinary circumstance, which exempts the airline’s obligation to pay compensation. It does not mean that the airline is not obliged to provide care to passengers in a form of meals, accomodation and transport. Additionally, the airline is obliged to offer alternative transport or full refund of unused ticket. If you're planning a flight with Ryanair in July, check out your rights. British Airways flight cancellations. Claim compensation and associated losses online now! Passengers have faced chaos at the start of a busy holiday weekend as the airline blamed a power supply failure for the systems outage. The GMB union said the disruption could have been avoided if the airline had not cut "hundreds of dedicated and loyal" IT staff and outsourced the jobs to India. Mick Rix, national officer for aviation at the GMB, said: "We can only feel genuinely sorry for the tens of thousands of passengers who are stranded at airports and face having their travel plans and holidays ruined. The airline could face a huge compensation bill after thousands of passengers were left stranded by the IT crash. Travellers will be able to claim compensation under EU law. The aviation expert, Magdalena Miller, believes that passengers will be affected for a couple of weeks due to a “knock-on effect”, because planes and BA crew are scattered all over the world. “We have had hundreds of phone calls this weekend from passengers asking for advice as BA’s customer service was not answering phone calls and people didn’t know whether their flight would take off, whether there was a point in travelling to the airport. As a law firm we would encourage passengers affected by the global IT outage to claim online in order to receive compensation, reimbursement of expenses such as accommodation, transport and food, and refund of the tickets. Furthermore, associated losses, such as lost holidays or business losses should also be claimed”. To receive compensation for delayed or cancelled flight and get help to recover associated damages, click HERE. The strike by staff at control centres in Brest and Bordeaux runs until Friday 10 March 2017, but it will have a far reaching consequences. So far hundreds of flights have been cancelled. Only on Monday, British Airways has cancelled nearly 50 flights. Most of the cancellations are between London and French cities, but six flights on the Heathrow-Barcelona link have been grounded, along with services to Milan and the three big Swiss cities, Zurich, Basel and Geneva. Air France has grounded many more services, mainly domestic flights to and from Paris Orly. Cancellations include 20 flights to and from Toulouse, 12 serving Brest and 10 to and from Bordeaux. In addition, following the call for strike action issued by a union for French air traffic controllers from Monday 6 to Friday 10 March 2017, the French Civil Aviation Authority (DGAC) has asked airlines to reduce their flight schedule between west and south of France, the Iberian Peninsula and North Africa. 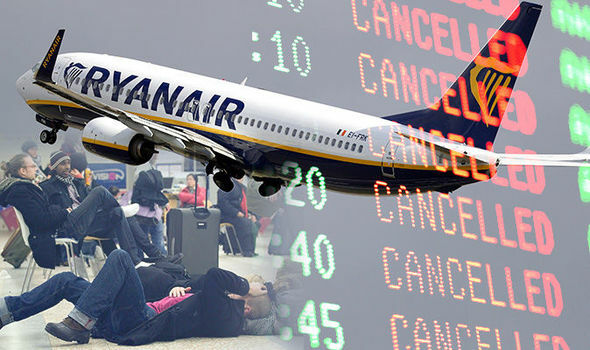 Ryanair, which flies more passengers in Europe than any other airline, has only on Monaday cancelled 44 flights and Easyjet cancelled nearly 50 flights. The air-traffic controllers are taking action over a range of issues, including rostering and pay. They say their counterparts in Germany earn much more for less work. What rights do affected passengers have? Sadly, because the strike is by the air-traffic controllers, no compensation is due. The airlines must, however, offer food and accommodation and re-book the passengers on the next available flight. What are your views on the Air France and BA's staff strike? Is it outside the airline's control? Sharm el-Sheikh is popular winter destination among Britons and the decision by the two carriers threatens to cause disruption to holiday plans over the festive period. The British government has banned all scheduled flights to the Egyptian resort after a Russian airliner was brought down by a bomb at the end of October 2015 after departing from Sharm el-Sheikh. The tragedy, in which 224 people died, has spurred fears about the effectiveness of security measures at the airport, and easyJet had decided to extend its flight cancellations after holding talks with the Department for Transport. The Department for Transport, which had suspended flights to the destination until November 25, said the ban will remain in place while the UK works with Egyptian authorities to improve security measures. Carriers were allowed to put on special flights earlier this month to bring stranded customers back to the UK. 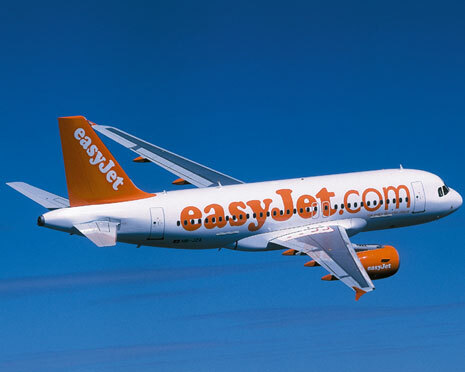 BA said that “the safety and security of our customers will continue to be our top priorities in any decisions we may make”, while easyJet said it “won’t resume flights until the Government’s advice changes”. Both carriers are offering refunds to customers if their flights are affected by the decision. Have you ever thought you were entitled to compensation for a flight delay only to find out, from the airline, that you had, in fact, arrived at your destination inside the prescribed 3-hour limit? What event did the airline use to calculate the arrival time? 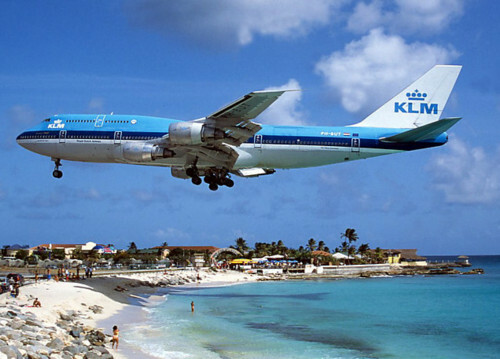 In order to avoid payment of the compensation, airlines, historically, use the earliest time possible (the time that the plane touches down on the runway). The ECJ decision in Germanwings GmbH v Ronny Henning (C-452/13), clarified that the ‘actual arrival time’ doesn't mean the time when an aircraft touches down on the runway, reaches its parking position, or when the chocks are applied. The 'actual arrival time' corresponds to the time at which at least one of the doors of the aircraft is opened. For passengers, whose flight departures were significantly delayed the calculation of the arrival time is crucial; sometimes it is just minutes, that separate passengers from entitlement to compensation. 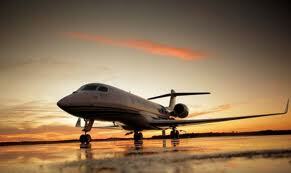 So keep watch of the time the aircraft doors open in order to ascertain the actual time of arrival. The reasoning behind Germanwings GmbH v Ronny Henning decision is that during a flight, passengers remain confined in an enclosed space where their possibilities of communicating with the outside world or carrying personal, domestic, social or business activities are restricted. The ‘actual arrival time’ is the time at which the situation described above comes to an end. It is only when the passengers are permitted to leave an aircraft and the order is given to open the doors of the aircraft so that the passengers may resume their normal activities. Proper understanding of the concept of ‘actual arrival time’ is crucial since according to the ECJ decision in Sturgeon v Condor Flugdientst GmbH (C-402/07), in case of long flight delay, that is equal to or in excess of three hours, passengers are entitled to compensation on the basis of Article 7 of Regulation No 261/2004, like those passengers whose original flights have been cancelled. The ECJ's concept of ‘actual arrival time’ thus should be interpreted uniformly when the Regulation No 261/2004 is applied. 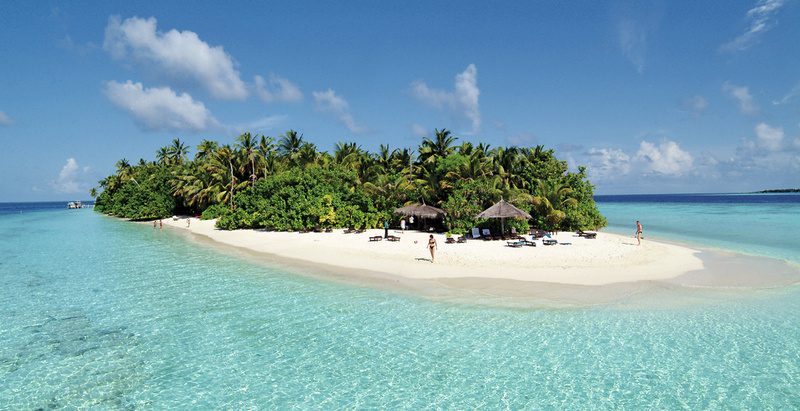 Claim up to 600 euro with us! 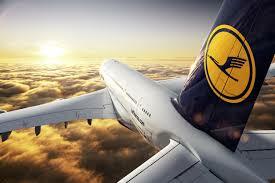 Lufthansa cancels half of its flights due to pilot strike action. If you were meant to fly with Lufthansa today or tomorrow and your flight is cancelled, you are entitled to compensation of up to 600 euro! Today, the Supreme Court refused leave to appeal in two cases of public importance relating to flight compensation, which might mean a flood of litigation by passengers whose flights were delayed or cancelled due to a technical reason. The airlines' most used defence has now been made redundant and they are looking to pay out thousands in compensation to passengers. Also, the High Court decision in Thomson Airways Limited v Dawson confirming that passengers in England and Wales have 6 years to make claims for compensation against the airlines is now a good law. Should you wish to learn more about your rights, contact us. On 11th June 2014 the Royal Courts of Justice reached the final decision which will not only affect further court judgements but should also change the airlines' approach in denying compensation legally due to passengers for delayed and cancelled flights. The case in question, the outcome of which had been widely awaited by the airline passengers all over the UK, was the one of Huzar v Jet2.com. From now on, passengers' rights shall be exercised with much more efficiency as the Court ruled in favour of Mr Ronald Huzar whose flight from Malaga to Manchester in 2011 was delayed by 27 hours. Until the verdict was announced, air carriers had been doing their utmost to deny liability claiming unpredictable technical defects and classifying them as 'extraordinary circumstances'. This resulted from the ambiguity of the term 'extraordinary' used in the Regulation (EC) no. 261/2004, a favourite term of the airlines and interpreted by them for their benefit and disadvantage of the passengers. At the very beginning of the trial, few expected that the struggle would be so long. Although the county court to which Mr Huzar brought his case against Jet2.com decided in his favour, the air carrier upheld their statement that the technical fault due to which his flight was delayed fell into the category of an “extraordinary circumstance” and, as such, was beyond the airline's control. However, when the case was brought to the Court of Appeal, it has now been clarified that fatigue, which in this case constituted the immediate cause of the technical fault, cannot be regarded as a factor which is “not inherent in the normal exercise of the activity of the air carrier concerned.” In other words, the carrier could and should have been able to foresee that some parts of their aircraft wear out in time and that failing to provide sufficient maintenance to the aircraft is by no means beyond the carrier's control. In fact, the airlines make their revenue by offering transport by air and we see no justification for passengers to be disadvantaged by a technical failure which is definitely inherent in the airline's business. Following this verdict, millions of passengers who suffered inconvenience due to delayed of cancelled flights for last six years may now start seeking redress through the courts of justice. The air carriers should, conceivably, reconsider their attitude towards paying compensation due to technical defects as they can no longer rely on extraordinary circumstances defence until they can prove that these faults stem from hidden manufacturing defects. The question remains whether they will. 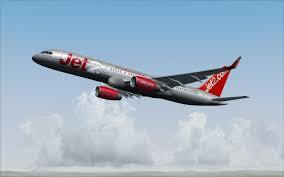 It's worth noting that the decision to dismiss jet2.com's appeal is binding on all courts in England and Wales. The case still may be processed to the Supreme Court but we believe it unlikely that the appeal will be granted. It is hardly conceivable that any new arguments might be raised by the airline which haven't been already proven unsuccessful. To sum up, this is now the best time ever for the passengers who have experienced flight delays or cancellations whose claims have been rejected by the airlines to resubmit their complaint citing the case of Huzar v Jet2.com. It is also a wake up call for the Civil Aviation Authority which looked at other factor to decide whether or not a technical defect fell into the category of 'extraordinary circumstance'. Holiday season has started. Do you know your rights? Not many of us, while getting prepared for a flight, familiarise ourselves with passengers' rights. Yet, in order to be able to exercise your rights in case a problem emerges it is worth having knowledge in respect of regulations concerning travelling. In the case when our flight is delayed or cancelled we have the right to care in the form of meals and refreshments, hotel accommodation, reimbursement of the ticket price and considerable compensation as well. These regulations apply to passengers travelling between EU countries, passengers departing from a EU member state to a non-member country or travelling with airlines registered within the European Union from beyond the Union to a EU member state. Please keep in mind that even when the flight is delayed by only two hours, the carrier should provide meals and refreshments. If we have to wait overnight for a flight – hotel accommodation must be provided. One should remember that airlines must provide transport between the hotel and the airport. In the case of a delay longer than 5 hours we have the right to resign from the journey and get the reimbursement of the ticket price within 7 days. If the plane we are supposed to board is delayed by 3 hours, we shall be offered compensation ranging from 250 to 600 Euro. The sum depends on the distance of the flight. 3500 km or more – 600 Euro. Compensation is also due when our flight was cancelled or we were denied boarding. In the case of Poland you can claim compensation for a relatively short period of time being two years, that is why it is advisable to file your claim against the airline as soon as possible. You can write a claim to the airline on your own. I the absence of a reply the claim may be submitted to the Civil Aviation Authority (CAA). 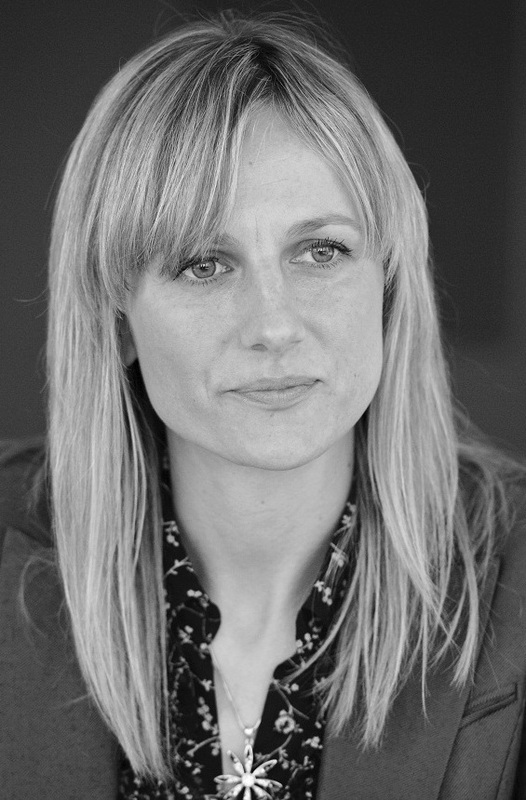 Nevertheless, as shown by the experience of Sky Legal's solicitors, CAA receives a great amount of complaints which results even in a few months' delay in examining your case. On the other hand, in Adam's case, who tried to handle the claim against the carrier on his own, the problem was the fact that Wizzair kept on rejecting his letters, claiming that the poor technical condition of the aircraft was not their fault (the defect was discovered while passengers were boarding the plane). Eventually, we managed to recover his compensation in accordance with the EC Regulation (261/2004). Despite the fact that compensation from a carrier may be transferred into our bank account as soon as in 4 weeks after filing a claim, it also happens that this period may be extended to years if a carrier refuses to settle a claim. We also advise against voluntary resignation from a reservation. Some airlines, e.g. LOT or British Airways, often endorse it while in the case when a passenger surrenders a reservation, this means waving the right to compensation. In order to effectively exercise your rights we encourage to obtain information in writing from the carrier which could confirm the actual conditions (delay or cancellation of flight) including the immediate reason, while still at the airport. To successfully recover compensation we will also need a booking confirmation, tickets and, in the case when the airline did not offer hotel accommodation, transport or meals, relevant receipts as evidence of these expenses. Here is a passenger's guide to how to effectively claim compensation. 4/ If the airline ignores you and does not respond, or denies you the right to compensation relying on extraordinary circumstances in a form of unexpected technical defect or adverse weather conditions when you damn well know that the weather was perfect and other flights ran on schedule, use professionals like skylegal.eu to challenge the airline’s excuses and take your case to court. 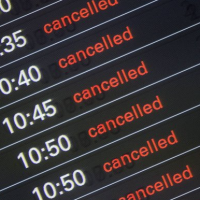 Lufthansa, LOT and Brussels Airlines are amongst the ones that cancelled their flights. Passengers are entitled to meals, transport and accommodation. They should be offered a full refund within 7 days if they decide to abandon their flight, or re-routing on the first available flight if they decide to continue on the journey. Copyright © Sky Legal EU 2011-2019. All rights reserved.